Let’s say you’ve been eating nuts a little too vigorously. Or perhaps you’ve been enjoying coffee every morning and wine with dinner for a few years. Either way, you’ve noticed a crack has appeared on the surface of your tooth, or that your smile has become discolored with stains. You’re disgruntled about your appearance and want a quick solution to cover up these flaws in your smile. Well, search no more as Smile By Design in Mountain View, CA offers quality porcelain veneers for patients with cosmetic flaws. Porcelain veneers are a specialized treatment that will give you that stunning, white smile you’ve always wanted in as little as two visits to the office. So, let’s address what makes up porcelain veneers. As the name states, veneers are constructed from porcelain in shell-shapes with varying thicknesses. The thickness of the porcelain veneer determines how much light will shine through them, making your smile brilliant and white. You may ask yourself, how are these porcelain shells attached to the tooth? The first stage of application entails shaving away a small portion of the enamel on the surface of your teeth. This allows for the porcelain veneer to properly fit to your tooth without obstructing your ability to eat or talk normally. The second step is the application of the porcelain veneers themselves. A light dental cement is applied to the teeth, and then the porcelain veneer is laid on top and left to bond with the cement. Within short time, your smile will be bright and white! Let’s take a look at how porcelain veneers. For all the brightness they display, they also had quite glamorous beginnings too. Back in the 1920s, Hollywood films were gradually shifting to sound, and suddenly it wasn’t enough for their golden stars to simply look good – they had to speak well too. But back in that time, poor dental health was quite common, meaning that movie stars didn’t have the best teeth. A California dentist named Dr. Charles Pincus was tasked with developing a new dental process to give these stars a bright, healthy smile. He came up with the idea for porcelain veneers. When first created, porcelain veneers were meant to only be temporary. They were applied for a short amount of time and removed. As the technique grew in popularity, so did the strength of the bonding process, allowing the porcelain veneers to increase in longevity and strength. To find out if you’re a candidate for porcelain veneers, it’s important to schedule a consultation with Dr. Shen in Mountain View, CA in order to ascertain if porcelain veneers are best for you and your smile. Porcelain veneers can transform your teeth into a bright, white smile. Contact us today at Smile By Design to schedule a consultation with Dr. Shen. 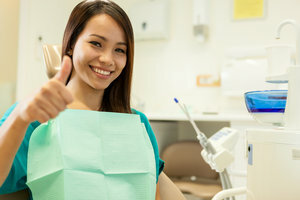 During the consultation, you’ll have your oral health evaluated, a discussion with Dr. Shen about your treatment options, and ultimately decide on your choice of porcelain veneers or other smile makeover treatments.